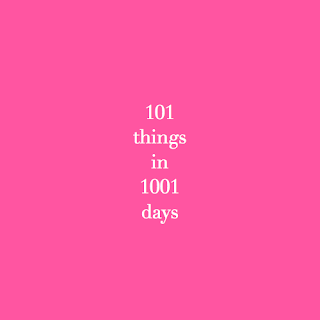 101~N~1001 First Goal Completed in July! I have my first completed goal for July!! I was up early this am (11:10 am EST right now!) 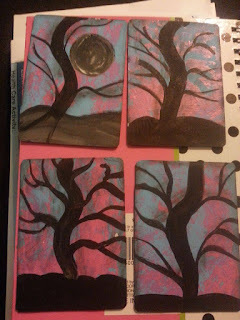 and was inspired to complete my 5 ATCs (Artist Trading Cards). I was watching a youtube video last night on painting, and she painted an awesome tree. 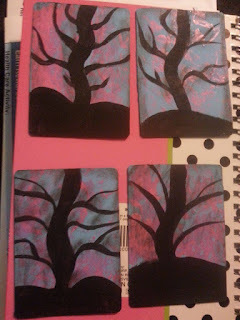 So I figured why not practice on the ATC, I think they turned out pretty good for a total painting beginner! I started off with the moon in the first one, but didn't like how little room I was left for branches, and that was what I wanted to practice most, so I left it off all the other ones. The card base is just a playing card covered in blue acrylic paint then I sponged some pink acrylic over it. The "smudging" is done with grey-black eyeshadow that I found laying around the house! 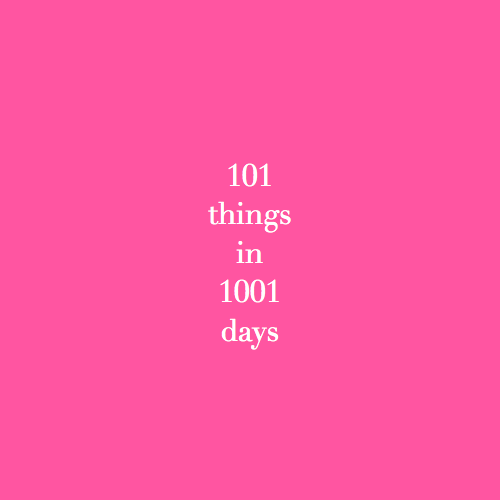 What projects have you completed this week?